Looks Good from the Back: Important Beauty Topics We Discuss. A: I'm researching nighttime moisturizers and have fallen down the most obsessive rabbit hole. Halp. M: Oh no. So the Sunday Riley oil, is that not a standalone moisturizer? A: It is, but sometimes I slap more slap on top of it. I treat it like a serum. A: I usually use CeraVe PM but wanted something a bit nicer. I’ve tried Weleda but it doesn’t work for me. M: I really miss the Lancer Nourish moisturizer that came in a fancy Popsugar box. A: I keep ping-ponging between Hirons and Begoun and they're tearing me apart. A: That’s why I’m texting you. A: In other news, this crazy expensive Serum de Soie Sublimateur stuff is freaking amazing. A: You should be. Ugh. Jerk. 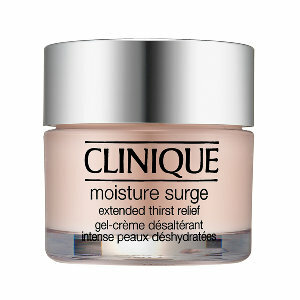 I am a big fan of the Clinique Moisture Surge, there is an "Intense" version that smells weird but the normal version is my go-to p.m. moisturizer and one jar lasts me a really long time. I get dry flaky skin if I am not careful and it has worked really well for me for a couple of years now. I have dry/combination sensitive skin and I found the Moisture Surge to be REALLY thick and greasy and made me break out. My skin loves philosophy-- but it sometimes gets a bad rep on makeupalley et all. My skin loves the clarisonic too and lawd knows it's like the *bad girl* in high school. Right now am using the renewed hope moisturizer both am & pm. Really liking it so far. Also using their time in a bottle serum. LOVE. IT. Finally-- I have no experience but have friends who swear by the entire Paula's Choice line. See, I think the Paula's Choice line is probably a good one but she completely lost me when she started reviewing her own products alongside competitors products on Beautypedia. Almost all of them have four stars! What a surprise. It's such a huge conflict of interests that I have a hard time trusting any of the reviews. And yet, I still read them. I have dry, dehydrated skin and what's working for me right now is the Cosmedica Hyaluronic Acid serum followed by Kiehl's Midnight Recovery and topped off with the Cerave tub moisturizer. Lots of moisturizers are good for a few days/nights and then I break out. Cerave PM is one of the few that works all the time. More fancy but just as reliable is DHC Extra Nighttime Moisturizer. I've used that for years. It works and you can get every last bit out of the glass jar. I like the Kiehl's Skin Rescuer with chamomile, but I can't always face the smell. Have you tried any of the Honest Beauty products? Right now I'm all about their Younger Face deep hydration cream. Really I like all their stuff - really good packaging (in addition too great ingredients.) Their tinted moisturizer (more like a foundation) is my new HG foundation. My other favorite moisturizeris the glam glow thirsty mud. Super $$ but one jar has lasted me almost a year. You have not fallen down the rabbit hole that is Asian Beauty? There's a subreddit chock full of info. Moisturizers galore, my dears. Oh yes, that was last winter! It's too much, man. I am having good luck with Neutrogena Naturals Multi-Vitamin night cream of all things. My cheeks are suddenly very very dry and this twice a day has them supple again. I skip it on my t-zone - it's too much moisture for that area. I am also doing a CoQ10 and collagen hydrating face mask once a week. Thanks for the recs everyone!